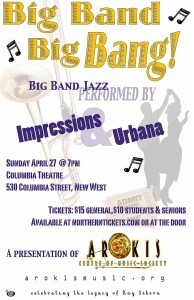 Question: What could be better than a big band performing in a historic theatre with great sound and comfortable seating? The answer: TWO big bands performing together in that same venue. 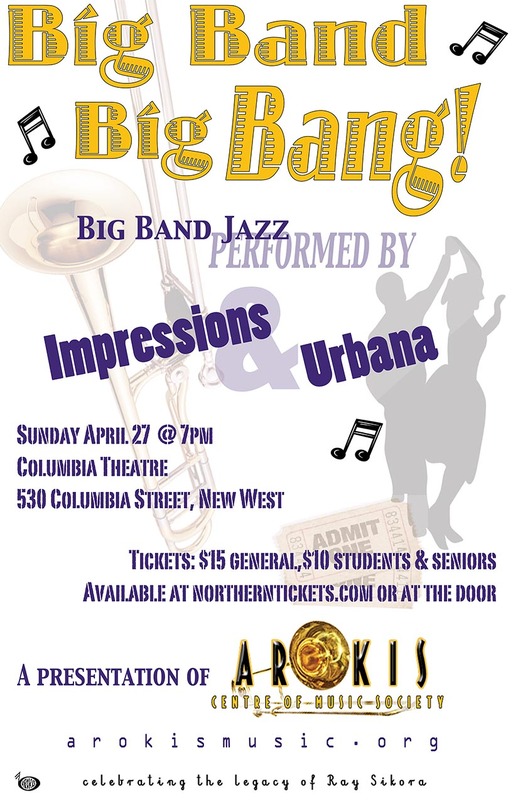 Every year we look forward to the joint concert featuring the AROKIS big bands – Impressions and Urbana. This is a chance for both bands to feature some new material plus old favorites from their extensive books. The event is also a fundraiser for the Society, helping us keep up our mission of preserving and promoting big band music in Vancouver. This year the concert will be held at the Columbia Theatre in New Westminster – truly an ideal location for this type of performance. 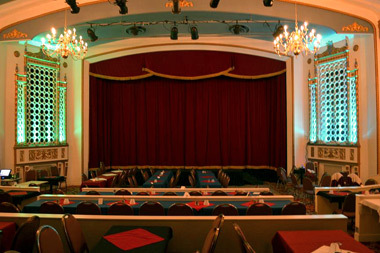 The theatre dates back to 1927, and has been lovingly restored in recent years to recapture its original design, inspired by the imaginative movie palaces of the day. Also available from band members, or at the door.